Continuous improvement isn’t just for those who need to work on specific skills. Continuous improvement is for every professional, every teacher, every student, every person. At Florida Virtual School, we engage in professional learning because we never want to stop growing, expanding our “good enough” to our greatest potential. 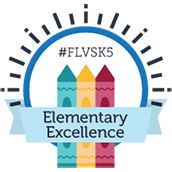 FLVS is blazing the trail in our commitment to continuous improvement – not just for the professionals who work here, but our students as well. We are in endless pursuit of growth and learning. I believe this is true for our teachers, and it’s true for our students too. What more could our children achieve if they too believed their education is not about filling an empty hole or bucket? It’s about creating a nurturing place for constant growth, igniting a tidal wave of curiosity and innovation. Our teachers and support staff model this incredible mindset, this drive for growth, for our students in so many ways. We teach to mastery. This means our teachers are empowered to provide their students with resources and support to learn and grow until (and even past) when that beautiful lightbulb goes off in their head. Our support staff provides targeted learning experiences that guide teachers through curriculum advances and technology innovations with on-demand, immediately applicable professional training. Teachers at FLVS are equipped to serve their students and meet their needs exactly where they are. This flexibility gives us the ability to embrace all facets of continuous improvement. We all can improve and FLVS loves playing such an essential part in the growth and improvement of so many. We’re not growing because we’re not yet good enough – we’re growing, always growing, because there is no limit to how much better we can be. 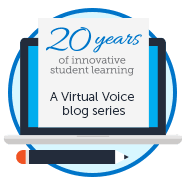 This entry was posted in Educator Edition and tagged Blazing the Trail, Culture, Curriculum, Education, Growth, Growth Mindset, Professional Development, Professional Learning, Teaching Online on April 26, 2018 by Guest Blogger.